You’ve made your selection. There’s no doubt which contractor you want to turn those dreams into reality; well, at least you’re pretty sure. Before you sign anything, let’s make sure that everything that was said or presented is real and can be backed up. If you haven’t done it already, confirm their license status by following the steps we outlined earlier. At the same time, you’ll be able to verify their bond status on the Contractor’s Board website. Hopefully, you’ll never have the need for the bond; but for now, simply verify it exists and is in good standing. I also suggest making a note for your job file that reflects the name of the surety company that holds the bond and its expiration date. We’ll explain why that could be important in our ‘Problem Resolution’ series. A bond, whose maximum value is $12,500, is very different than liability insurance. In California – a rather litigious state – liability insurance is pretty expensive. You may find that the low bidder is low because they’re not carrying insurance. The question is; do you feel lucky? Again, my opinion only; but you can probably get better odds in Vegas. If the contractor does have liability insurance, make sure it is in what we’ll call a sufficient amount. How much is sufficient? Depends on the job – usually $1 million or $2 million is more than adequate for residential jobs. Should a problem come up and the contractor is clearly liable, a good insurance company will immediately stand up and resolve the issue. If there is a disagreement about who is liable for the damages, your property insurance company will take care of the damage and then they’d go after the contractor and his/her insurance company to recover their loss. I require my subcontractors to maintain liability insurance; giving the property owner three layers of protection – their own property insurance, the general contractor’s coverage and then the individual subcontractors’ coverage. This makes for another strong argument for using a General Contractor whenever the opportunity presents itself. The contractor should provide you with proof of insurance by giving you a Certificate or Binder from the insurance company. Review it to make sure the name on it is the same as the name of the licensed contractor (it is not uncommon for names to be different so get an explanation if they don’t match). Also, check the expiration date. Policies are good for one year in most cases. If the policy is scheduled to expire in the middle of your project, you’ll want to confirm with the insurance company that the contractor is eligible to renew. Workers compensation is up next. One of the first tests of whether or not a contractor is working in your best interests comes when you are ready to review plans and get bids. Thorough plans minimize the possible backlash from assumptions and expectations. They ensure that everyone should be bidding apples-to-apples. You may want to ask that each bid be broken down by the cost of materials, labor and O & P (Overhead and Profit). A breakdown of some items is usually necessary in case you make changes such as different materials and you need to know its affect on the bottom line (we’ll be exploring the dreaded “allowances” line item shortly). But contractors will be hesitant to break things down because they (rightfully) know that many consumers will use that information to try and negotiate price. So be prepared to be a bit flexible on this issue during the bid process. As long as you have a very detailed material specification prior to signing a contract, you’ll have the protection you need. the process for approving changes. When you have a desired budget but the quotes are higher, be prepared to discuss it with your ‘preferred’ contractor. You’re essentially challenging the contractor to work with you and meet your goals so it becomes something of a test to see if their experience and innovation can help find solutions. Be cautious became some contractors will just agree to the budget and expect to make it up with change orders. As we discussed earlier, another area of caution concerns the role or roles the contracting firm handles. When one of the selected bidders proposes that it handle both design and construction, recognize the potential of a conflict that might impact getting apples-to-apples competitive bids. Again, there’s absolutely nothing wrong with this process and in fact, is many times in the consumer’s best interest. The only downside for the consumer is potentially additional work or another step to eventually make sure you’re comparing these apples to those applies. So be up front and ask for suggestions on how to make the bid truly fair and competitive. While the answers are important, it is just as important for you to see how everyone works and if they keep your best interests in mind. At this point – you’re ready to get bids on your project. Each contractor you ask to bid will probably want to be the last one to present their bid as the truth is that the consumer’s excuse to procrastinate goes away once all the bids are in. You can eliminate or at least reduce that pressure by telling the bidding contractors beforehand that you will not be making a decision until after you’re had a couple of days to analyze and review each bid without any pressure (or you can always say that you want to get good ‘ol Uncle Ed’s opinion). In any case, once you’ve selected the front runner, you’ll need time to take the next all important step – Investigate and Verify. So let’s assume for a moment, that your new project is not a repair or replacement (like a new roof) or an upgrade like new windows, but is instead a remodel or addition or significant improvement. In order to avoid conflict and reduce stress, it is imperative that whichever contractor you select be on the same page as you. You have a pretty good idea of what you want. While your vision may not be completely clear, you can see it in your mind’s eye. It is imperative that whoever is in charge of turning the vision into reality sees the same vision. Otherwise, they could end up following one track based upon their interpretation of what you’ve said or perhaps because they think they know better; and you’re on another track and you just end up passing each other or in a perpetual conflict. Remember the contractor works for you – you are the client and this person is going to be in your house or business for days on end. You’re looking for a connection and that can only happen face-to-face. Treat it like a job interview. First, start your evaluation before they walk in the door – did they show up on time? If they’re running late, did they call and let you know? If they’re late or don’t communicate before they have a contract, how do you think they’ll be once they have you under contract? Second, recognize that a professional sales person knows a sale is easier when they’ve established a relationship. The easiest way to build a relationship is to “tell them what they want to hear”. Be prepared with good interview questions like “How many other projects will you be working on while working on mine?” or “Tell me how you can guarantee that you’ll finish on time?” Third, when I’m talking to a perspective client, I’m looking for opportunities to demonstrate that I get it; I understand their vision. And if I don’t get it, I’m asking questions or making suggestions. When I leave, I want both of us to truly believe we’re on the same track. If the contractor isn’t making suggestions or asking probing questions that demonstrate their understanding, you need to ask questions like, “do you see any other options” or “do you see any other way to achieve what we want?” And never forget that effective communication is a two-way street – mind reading is a not a qualification for getting a contractor’s license. Remember that poor communication is the underlying cause of most conflicts between consumer and contractor (this assumes of course, that we’re dealing with honest individuals on both sides). It may manifest itself as a Change Order or Assumption or Unfulfilled Expectation or any of a number of other clash points. It’s almost impossible to anticipate and eliminate all potential areas of conflict beforehand, but assuming that both you and the contractor are not playing some sort of competitive game, completely satisfactory solutions can be found when you’re on the same track. The basis for that understanding is built in the interview. If you let price dictate your selection, it may not be just the contractor who’s to blame. I expect to get all sorts of negative feedback on this (I think that’s the diplomatic way of saying it) but many of these problems fall squarely on the shoulders of the customer when they make price the ONLY major issue. As the saying goes, you get what you pay for. In my opinion, integrity/communication ranks right up there with price in the decision process. And you can only gauge the value of the connection between you and a contractor in a face-to-face interview. With some construction companies, this may not be possible. As we’ll see when we get to the “Problem Resolution” series, the individual who is ultimately responsible is the licensee and if the company has multiple jobs going in geographically separate areas, it is doubtful that you’ll ever meet him or her. Instead, you may have one person you negotiation the contract with (such as a sales representative) and a different person who then takes over and manages your project. In some cases, they may be one and the same. In others, the Project Manager may have several projects going at the same time. You’ll need to find out who is going to be responsible for meeting the contract obligations and will be on the job; supervising employees, subcontractors and others. If for any reason you aren’t meeting with the licensee, than it is that person, the Project Manager, you’ll want to meet with and get comfortable with before you sign a contract. I know the preceding may sound a bit self-serving in that I have a policy of reviewing the details of each project directly with my clients before I commit to it. That policy has served me well over the years – especially in terms of reducing conflict and stress – but I believe the customer also benefits. There’s no ‘passing the buck’ when the General Contractor has reviewed the project on the job site with the customer and has to give his or her personal OK prior to each job start. Any excuse regarding not getting the full picture from the sales rep or Project Manager goes right out the window. The face-to-face interview is next. If you know exactly what you want, you may want to hire an independent architect to draw up the plans and specifications you can then give out to selected contractors to bid on. While this may add an extra cost to the project, you will ensure that everyone is bidding to the same parameters and it solidifies your control over the process. In addition, part of an architect’s job is to make sure the project is completed as designed so you have someone very knowledgeable on your side should the contractor suggest a change or modification. For this option to work, the architect must be totally independent – meaning that he or she has no relationship with a general contractor and works only for you. Many residential architects will have a ‘relationship’ with one or more general contractors. Some design only, but when the consumer asks if they know any good contractors, they refer them to someone they have partnered with. Other architects work for or run companies called design/build which means exactly what it says – they design it and then build it. When you already know who you want as your contractor, design/build relationships offer a great advantage as there isn’t much finger pointing when you’re responsible for both the design and the construction. For most residential remodel projects and simple commercial tenant improvements there’s another option that is extremely popular. Most residential and commercial improvement contractors have the capability of providing you with design options. Consumers select this option for several very good reasons – first, it’s usually offered free to their clients. Second, you get recommendations and options from competitive bidders. Third, it gives you the opportunity to determine if the contractor really hears you and your desires. In a variation on this option, consumers will see a design they really like and use it as a basis for others to bid on. Speaking of free, you can’t walk into a Home Depot or Lowe’s (or other home remodeling centers) and not notice that they offer limited design services for kitchen or bath remodels. If you can take reasonably precise measurements of the area that’s going to be remodeled, taking advantage of these design services makes a lot of sense. Keep in mind the store is a ‘for profit’ business and as such, they expect you to order things like cabinets, appliances and fixtures from them. Of course, they’d also like you to use their pre-approved contractors to do the work as they can make additional profits by taking fixed pricing from contractors like me and mark it up to you; the consumer. Even so, still a good source of getting a bid but have your other selected contractor finalists bid on the same design – you can still get the cabinets, etc from the store if you so decide. Last caution: I do wish to emphasize that for larger, more complex projects – you really want to retain an independent architect for a multitude of reasons which I’m happy to review with you. Are you ready to collect bids on your project? 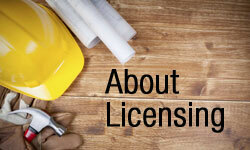 You’ve narrowed down the list of potential contractors by following all the steps we reviewed in our licensing series. Other qualifying steps, like checking out their insurance and references, will occur once you’ve whittled the list down to the final selection process. So is it time to take that deep breath and find out how much? Yes; and no. It’s a bit of a judgment call based upon your project and your own comfort level. To put it in perspective, if you have a very specific job you’re looking to have done – like replacement of an existing item or upgrading windows, or getting a new roof or an air conditioning compressor – you’re ready to get quotes. Likewise, if the properly suffered damage of some sort and your goal is to simply restore it back to the way it was prior to the damage. What each of these examples hold in common with each other is that there are very few variables. When replacing one item (like a window or door or roof) with a new item, the primary thing to compare is product and then price. But when you’re adding something or making significant changes as in a remodel or addition – constructing something very different than what you have now – then you can only really compare prices when everyone’s bidding on the same thing. If you’re asking each potential contractor to bid off the identical set of plans, than you know the responses you get should be “apples to apples” and you’re in a good position to move forward, get bids and then compare. If you’re not yet in that apples to apples position, then you might want to think about taking another step before spending time on comparing quotes which will be very difficult to compare. The step I’m referring to is developing and settling on a plan that details out exactly what you want done so that everyone is quoting on the same specification. The more complex or detailed the project, the more detailed your plans will need to be in order to get quotes that are based on the same type apples. Next, we’ll take a look at some of the orchards that you can select from. Or through some other means, you came up with a short list of contractors you’re thinking of calling to get a quote. You’re now ready to move to the next step in hiring a contractor – determining if they are sufficiently qualified to do the work you want done to your satisfaction. An important note of caution here – many consumers assume that price is part of the qualifying process. It is, but not yet. We’ll be reviewing steps to insure you’re getting the best value and a fair price as we move through the process, but every legitimate consumer protection agency agrees that you should only consider quotes from qualified sources. Having a price before you do the qualifying tends to influence the consumer one direction or another with many consumers using it to rationalize or justify a rejection or selection. Contractors use this knowledge to their advantage as we’ll see in some of the examples coming up. A little bit of patience combined with some simple qualifying steps before discussing price and you’ll actually end up reducing costs and headaches. Never pay more than 10% down or $1,000; whichever is less. Don’t pay in cash. Keep a job file of all papers relating to your project; including all payments. Throughout these consumer awareness Series, we’ll be going into quite a bit of depth on each of the “Tips” plus several of my own. If you’re someone who wants to search for a contractor on your own rather than responding to an ad, then you’ll probably go to that tried and true method – the Yellow Pages. Scratch that – last century – that tried and true method, the Internet. IT Specialists Keep their Company Names Very Visible. Many people are very familiar with using a search engine like Google, Bing or Yahoo; but for those who aren’t a couple of pieces of information that might be helpful. Companies who have a website use various techniques to appear on the first page of listings when a consumer conducts a search. They know that most consumers will limit their search to the first page and perhaps second page so they pay IT specialists each month to keep their company names very visible. The behind-the-scenes strategy that these companies use to stay in front are focused on the use of keywords – the experts figure out what words you are most likely to use in doing your search and they make sure they’re in the right place to get the search engine to respond. But while the science behind it is solid, the results of a search by a consumer are not always as helpful as it could be. For example, if your search parameters ask for a general contractor in Orange County California, you’ll get thousands of responses. Trying to narrow it down by selecting one city or one zip code will help, but with 34 medium to very small cities plus the unincorporated areas, you could miss out on a great contractor simply because they’re on one side of the street and the city or zip code changes on the other side. Just like the other forms of advertising, the business goal is to be noticed by trying to figure out how you would conduct your search. 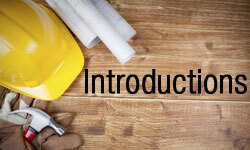 So what insights can we learn about a contractor who is listed on the first or second page? Perhaps only that he hired better IT professionals than his local competition. Advertising on the internet is simply another form of the science/art of making a connection. Contractor referral sites are experts at using search engine optimization to get on the first couple of pages of search results. These listing companies will refer you to their “pre-approved vendors” or advertise their lists of “reliable contractors” on television and radio. A word of caution here – while some of these sites really do try and help the consumer and they do go through a process designed to prescreen contractors, the quality and thoroughness of that screening varies greatly. Few, if any, go through the process as thoroughly as we will in the coming articles and a large number of them will list almost any contractor willing to pay their fee. I get solicited on a regular basis from these companies and in fact, as I mentioned in an earlier article on license violations, I hired one of these handyman from a referring site and got a real lesson in due diligence. The message here is the same as it is for all referrals whether it came from an advertisement or an Internet search – you still need to check them out before you hire them. If the subject of remodeling the kitchen or adding a bathroom is not a significant part of your regular conversations at home, you probably won’t even notice the amount of times you’ve been solicited by home improvement companies. Unless of course, that solicitation interrupts dinner or your favorite television show. If you’re really bored sometime, keep count of what comes to your home in the various lead generation forms we’ll talk about – what I conclude in this article will make a lot more sense. These and other methods are the ways that companies (contractors and others) yell “Here I am! Hire me!” They count on the very real advertising fact that something in one of the approaches (like a coupon or special) or something said by the phone solicitor will make sense to you and you’ll respond and ask for a proposal. Tremendous amount of ads on a regular basis. These forms of advertising work as evidenced by the tremendous amount of ads each of us receives on a regular basis. There’s nothing wrong with responding to an ad or other form of solicitation as long as you conduct proper due diligence and follow the procedures designed to protect you, the consumer. Ever really look at one of the home improvement ‘magazines’ that homeowners receive each month in the mail? Some of them may have an article or two buried in page after page of advertisements while others don’t even bother with the articles. In one of those publications, I saw five ads that would loosely fall under the category of general contractor services; and all five had a coupon or other enticement for $750 off (if you acted now of course). Whether using any or all of these techniques, everyone in any kind of business knows there is a high cost to these types of activities. Assuming that business is making a profit, then any intelligent consumer knows that the cost of those activities has been passed on to them in the product or service they buy. One of the largest home remodelers in Southern California told me that they estimate 12% to 15% of total revenues goes into lead generation (not sales) activities. Sales commissions are another major slice of the pie. My conclusion is that’s a lot of money to spend on something that doesn’t contribute the cost of a nail to the consumer or a penny of profit to the contractor. So how do many contractors keep their prices and costs down while still finding a way to reach out to potential customers? Read on. If you’ve had either no experience or poor experience with contractors, many consumer protection experts will tell you to start with recommendations from family and friends. These experts are pretty much in agreement that if possible, start via word-of-mouth referrals and as your goal is to be a satisfied customer; your odds of achieving your goal increase based upon others favorable experience. That should work assuming your friend or family member or co-worker is sufficiently knowledgeable enough to make a recommendation but if things go wrong, please bear in mind that it might have a big impact on your relationship with that friend, family member or co-worker. Also, many times, they’re recommending a family member and not necessarily someone who is qualified to do the job you want. While you won’t be disappointed with the information contained within that section, its’ focus is on helping you check out and hire the right contractor – which is great if you’ve already FOUND a contractor. One portion, titled ‘Ask for personal recommendations’ seems to indicate help, but the focus is again on checking out a contractor that you’ve already found. So if you’ve run through the family/friends/co-workers/etc networks without much confidence in any referrals received, you’ll probably go one of two routes that the vast majority of consumers follow in finding a contractor. Either you’ll response to a solicitation made to you or you’ll conduct your own search. Regardless of how you find a contractor, remember the next step will be the process of checking them out.